ALEXANDRIA, Va. April 12, 2019; NACS Online reported that each day, more than 40 million drivers pull up to a fuel dispenser to refill their vehicles, typically choosing from three types of fuel: regular, midgrade or premium. 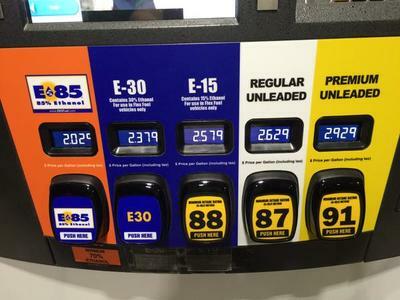 With each fuel they see a number measuring the level of octane in the gasoline: 87 for regular unleaded, 89 for midgrade, and 91 to 93 for premium. Most consumers likely notice the gas price associated with a certain fuel. Beyond price, how much do they know about octane, and do they know why certain vehicle engines require a higher level? And what is engine knock? In May 2016, the Fuels Institute asked consumers, “What is an octane grade as it relates to gasoline?” Most respondents did not know the answer, and only 2% accurately identified that octane referred to the anti-knock properties of gasoline. While answers to octane and its role in engine performance can be highly scientific, they can also be distilled for consumers to easily grasp in “What Is Octane?” a primer on octane’s role in fuel and its impact on vehicles, at the NACS Fuels Resource Center. Taking a deeper dive into octane, a recently released Fuels Institute white paper, “Analysis of the Potential for Increasing Octane in the U.S. Fuel Supply,” discusses findings in the context of research done by Co-Optima, USCAR and evolving policy discussions. For more retail fuels-specific content, visit the NACS Fuels Resource Center.